Sometimes, like during the Weekly Review, I like to have a hardcopy of the note list (the top pane in the Evernote desktop client). There’s no native option to print the note list but don’t let that stop you. 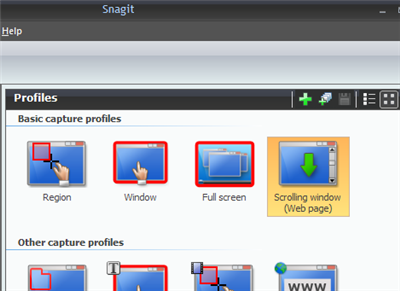 I use a “scrolling window” profile in the screen capture program SnagIt to capture the note titles I want to print. In snagit I crop the list to only have the title and tags columns visible; you might have your own preference. The note font is quite small but before printing you can play with the page setup: stretching the image makes it more readable at times. During the Weekly Review I print out two of these lists: one with personal to do’s/someday’s, and one with work related to do’s/someday’s. I’m a big fan of the “new note” and “paste into Evernote” global hot keys in Evernote. This week I added to that the global hotkey CTRL + ALT + T to create a new To Do item from any application.